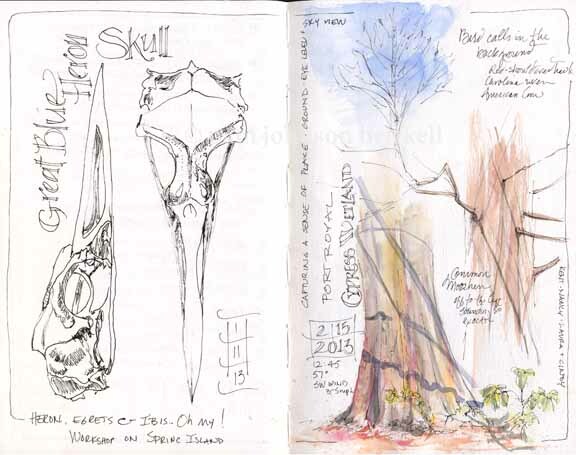 Here are two journal pages I created during a couple of workshops, as demonstrations for students. The left was sketched with a black 02 Micron pen. The right was sketched en plein air using an 005 Sepia Micron pen, then painted with watercolors using a waterbrush. The assignment here was for students to sketch what they saw at ground level, eye level and then up to the sky.